If you follow me on Snapchat or Instagram, you'll know that I was recently in Singapore for a quick trip for a friend's wedding. Because we know so many people in Singapore, I knew the trip was going to be jam packed, and I had to pack accordingly. I don't fuss so much with my outfits, but boy do I fuss when it comes to makeup and skincare! So much so, actually, that even if I wanted to, I wouldn't be able to fit my ramblings about what to pack into a simple blogpost. 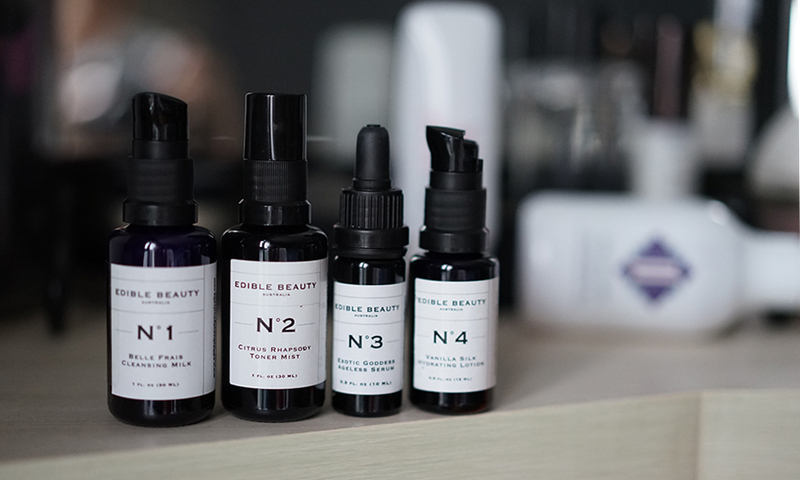 So in this blog post, I'm simply going to share with you my essential skincare items - the products I knew I needed to pack or appreciated having with me on the trip. So let's get on with it, shall we? Our travel to Singapore was by bus, and it took us about 5 hours to get there, and a whopping 7+ hours to get back. Obviously, the bus was air-conditioned, so despite not being subjected to dry cabin air, the air in our little bus was also pretty dry. I had this spritz on hand, and it was an absolute thirst-quencher for my skin! It smells really relaxing, and I love that the bottle is large enough so I don't have to worry about running out if I spritz too much on. Plus, it's paraben and preservative-free, and jam-packed full of antioxidants, so I'm gonna keep spritzing away. Now this is not something that you throw into a travel bag without a second thought. This mask comes in a large jar, so it's not quite travel-friendly. But I had to bring it along, because of the difference it makes for my face! Can you guys tell what the mask does yet? It's pretty awesome, isn't it? It removes any water retention from the face and slims it in a mere 10 minutes, so I obviously had to use it before the wedding luncheon! It is perfect to use before big events, parties and nights out, because it really does slim the face down enough to to make your photos look better. It's formulated especially for Asian women, too. This stuff is bomb. 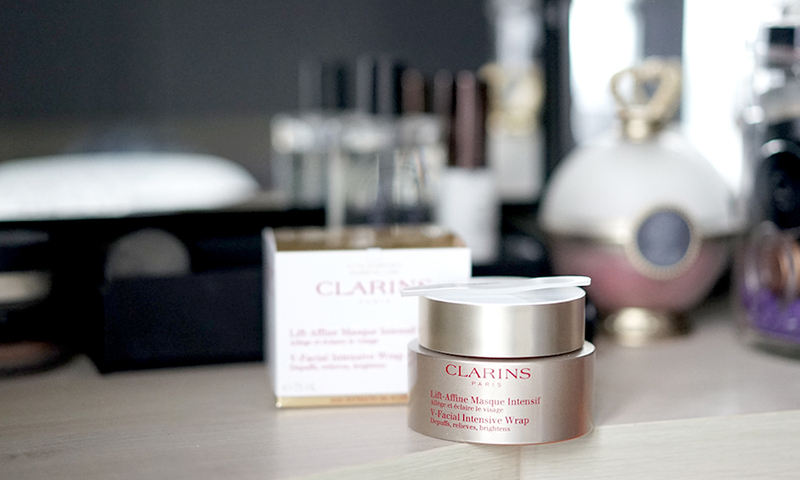 It's that oomph-factor product that just makes your skin look better. It brightens the complexion, moisturises the skin, smooths the surface of the skin, and keeps makeup on for much, much longer. 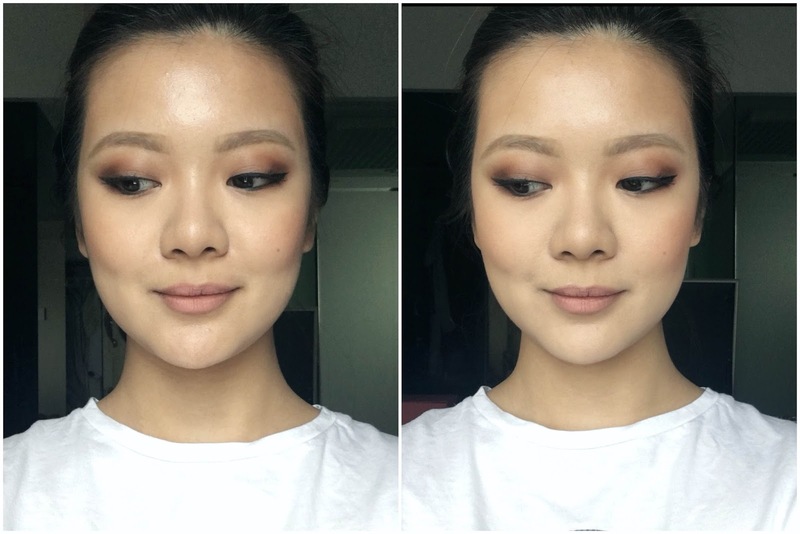 I noticed that my skin wasn't getting as oily (the Singapore trip was my first time using this product!) 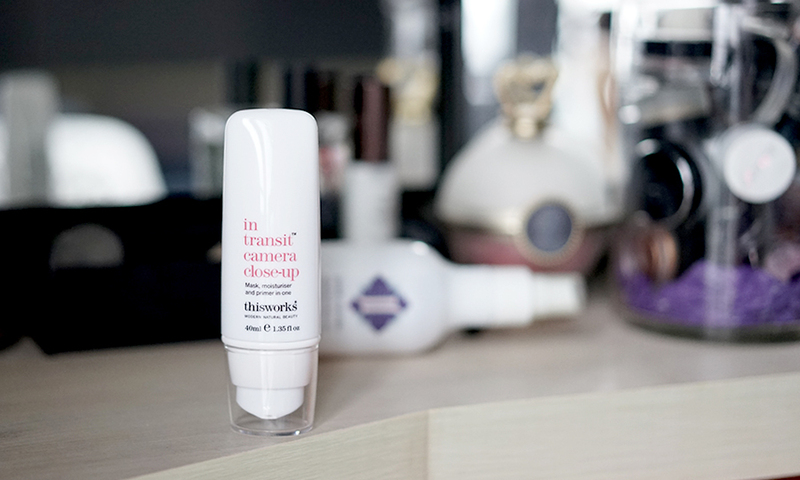 and my makeup wasn't melting off as easily as it did before I tried this, which is quite amazing, because my makeup melts a little around my forehead, nose, and chin area every single day without fail. If you're going on vacation, this is the perfect product to take with you, trust me on this. This is another one of those all-natural products, so you know you're not harming your skin in any way when you're using it. To be honest, the only reason I brought this skincare set with me on my trip was because it was easy and convenient. It was right there in small, tiny bottles, all labeled and in a nice little set. But I actually really enjoyed using these. They are also all-natural - they literally are edible - so they won't cause any harm to your body or your skin. They smell amazing and they do an amazing job moisturising the skin. I've had this forever now, and I cannot stop using it! I've got a few friends who have it as well, and all of them tell me they love it. This is another all-natural product that you can spray onto your pillow to help induce a deeper, calmer sleep because if the relaxing lavender scent. I spritzed it onto my seat on the bus, as well as my clothes and shawl, and it was heavenly! So much love for this product, and this is so great if you're an anxious traveller. I highly recommend this! I hope you guys have enjoyed this list, and if you've got some suggestions as to which other products I should be taking with me when travelling, please let me know! * All products marked with an asterisk are from Sephora. Sephora is currently running a 'Natural Allure' campaign that promotes their all-natural products for safe and environmentally friendly use.